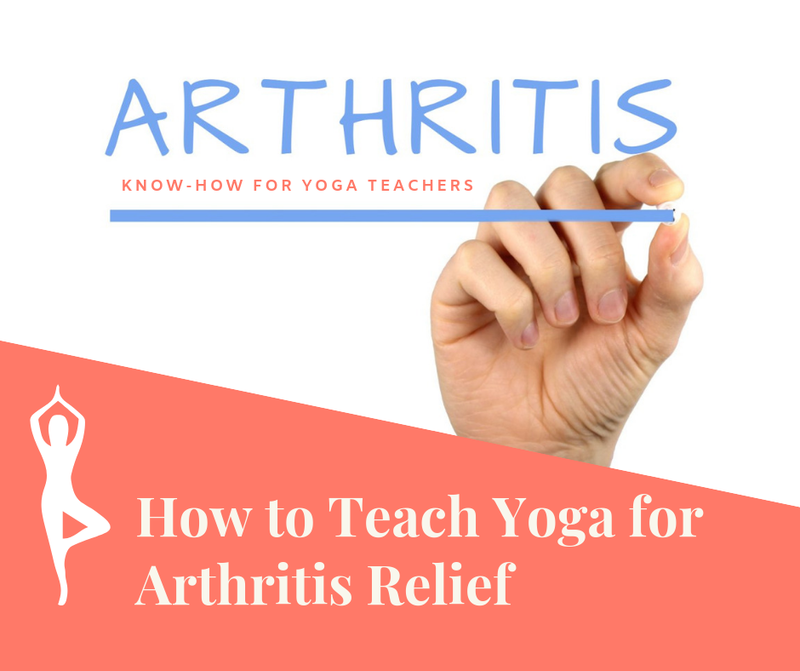 When we talk about yoga for arthritis it is important to first understand what arthritis exactly is. There are many different forms of arthritis. What they have in common is that they are inflammatory diseases of the joint. Arthritis is characterized by chronic pain and stiffness in the joints. Arthritis won’t kill, but it does lead to years of suffering and disability. Worldwide, it is among the top three reasons for prolonged disability. These days, it is one of the conditions that are on the rise. One of the reasons for the increase in its prevalence is the increase of lifespan. People get older and therefore there is more wear and tear on their bodies. Young people are less probable to have arthritis, unless it is triggered by a specific disease like fibromyalgia, rheumatoid arthritis, lupus and gout. Osteoarthritis – is a disease of wear and tear; its prevalence increases with age. It is the number one reason for pain in larger joints like a knee. The condition is irreversible and progresses slowly. Rheumatoid arthritis– is an autoimmune disease of joints, and unlike osteoarthritis, it is more probable to affect smaller joints like those of fingers and wrists. It is characterized by periods of remission and exacerbation. Psoriatic arthritis – another autoimmune condition that affects joints and adjoining structures. Fibromyalgia– is a newly recognized syndrome characterized by generalized pains. It is a poorly understood phenomenon, but changes in the brain and chronic inflammation are thought to cause it. Gout – is an inflammation of a joint due to the accumulation of uric acid. Lupus – is a severe autoimmune systemic disease that may shorten the lifespan in many. It may lead to skin rashes, multiple organ disease, and joint pain. Arthritis is an inflammatory disease and therefore may occur for numerous reasons. And treatment will depend on the type of arthritis a person is living with. Regretfully, whatever the cause of arthritis is, so far modern medicine cannot cure it. Nonetheless, some treatment modalities are universal as the use of anti-inflammatory drugs and physical therapy (including yoga). Yoga is a low impact exercise form. Thus, it will not damage the joint any further (unlike running for example). Yoga practices for arthritis should involve gentle movements, breathing exercises and relaxation phases which reduce stress and boost the immune system. The key in yoga poses for arthritis is to bring more fluidity and flexibility into the joints, to stretch and relieve the joints, and to strengthen the muscles around the joints to give more overall stability. Slow and controlled movements are essential in moving the body to avoid further stiffness from inactivity. What Does Science Say About Yoga for Arthritis? Many clinical trials have tried to understand the clinical relevance of yoga in arthritis management. Most clinical studies show benefits – even though they are slow or marginal in some cases. The longer you practice yoga, the more significant will be the benefit. A systematic review of yoga as a complementary approach to arthritis treatment conducted in 2013 conclude that yoga is a promising modality for arthritis. It reviewed a total of 9 interventions from 2000 to June 2013 examined yoga and its efficacy in alleviating symptoms of arthritis. Of these 9 interventions, 6 were able to demonstrate positive effects in psychological or physiological outcome measures related to arthritis. Another aspect of yoga, that might weight just as heavily as the physiological improvements that can occur over a long period of time, is yoga’s effect on stress, mood and mental well-being. Yoga has been shown to be beneficial in pain management, as it helps to reduce stress, enforces positive thoughts, and improves resilience. This means that a person living with arthritis can better tolerate pain associated with joint diseases. Furthermore, arthritis is a more common condition among older adults. Providing physical therapy for older adults is a challenge. Older adults cannot always do physically demanding activities. Yoga has the benefit of being less vigorous and low impact exercise that is help improve flexibility, balance, mental health, sleep quality, and much more. Yoga has been tested among older adults living with arthritis and has shown an excellent benefit. To sum it up: Yoga can help to manage arthritis better. It can help reduce the severity of symptoms, and slow down the progress of the disease. During acute painful periods, one can continue practicing yoga along with conventional pharmacological treatment. Yoga may help reduce the dose of toxic drugs, and help improve the quality of life. While in theory more flowing class styles such as Vinyasa Yoga might seem gentle on the joints, the fast pace and often quite vigorous nature of these class doesn’t allow much time to alter poses that put pressure on joints such as the wrists, ankle and knees. Therefore it is recommended to invite students with arthritis to follow your Hatha Yoga, Gentle Yoga or Yin Yoga class. Also see if you can have them come to a class that isn’t too busy, so you have extra time to help them find the alignment that works for them. Generously make use of props and supports. Make sure you have blankets or foam wedges, to support the students’ wrists or ankles during certain poses. If sitting on the floor is too difficult, offer them a chair. And it is also important to have some foam or cork blocks handy, to support on if reaching the floor is not possible or painful. Straps are also recommended to use for certain poses that require students’ to grasp a body part – such as a foot – that they can’t reach due to pain and stiffness. Often yoga students with arthritis require more time to enter a pose or need to perform the Sun Salutation at a much slower pace than the rest of the group. Verbally re-assure them to take all the time they need and be available for questions during the class. At the same time, make sure not to give them too much attention in front of the rest of the group, as they might start to feel insecure and overwhelmed. Therefore, be encouraging with a smile and a gentle assist or modification, let them move at their own pace and give them space by not singling them out in front of the group. Integrate calming breathing exercises in the beginning of the class like Alternate Nostril Breathing (Anulom Vilom) and regularly remind the students to keep their awareness on the breath. Also make sure that you include a relaxation pose like Corpse Pose (Shavasana) or Crocodile Pose (Makarasana) after every 3 to 4 postures. A guided final relaxation of 10 to 15 minutes is also highly recommended too! Kalyani Hauswirth-Jain is a senior teacher & the Creative Director at the Arhanta Yoga Ashrams since 2013. She is a lead trainer for the 200 hour, 300 hour yoga teacher training courses, as well as a variety of 50 hour courses like Yin Yoga and Vinyasa Yoga, for more than eight years . She has also co-authored the book Hatha Yoga for Teachers & Practitioners: A Comprehensive Guide to Holistic Sequencing.